© Weeds of the West Tom Whitson, ed. 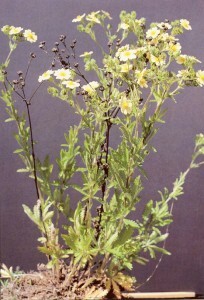 Sulfur cinquefoil is a simple perennial that spreads by three mechanisms: seeds, above-ground stolons, and underground shoots. 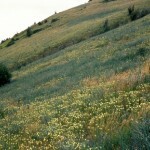 It has a pale-yellow flower with 5 petals and a dark yellow center. 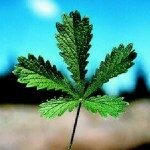 The leaves are palmately compound, with 5-7 toothed leaflets. The stems have long hairs that stand perpendicular to the stem, and the plant typically grows 18-24 inches high. 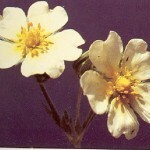 Sulfur cinquefoil can be distinguished from the native Potentilla species in a couple of ways. First, while the undersides of the leaf on most native species are hairy and appear silvery, sulfur cinquefoils’ are noticeably greener. 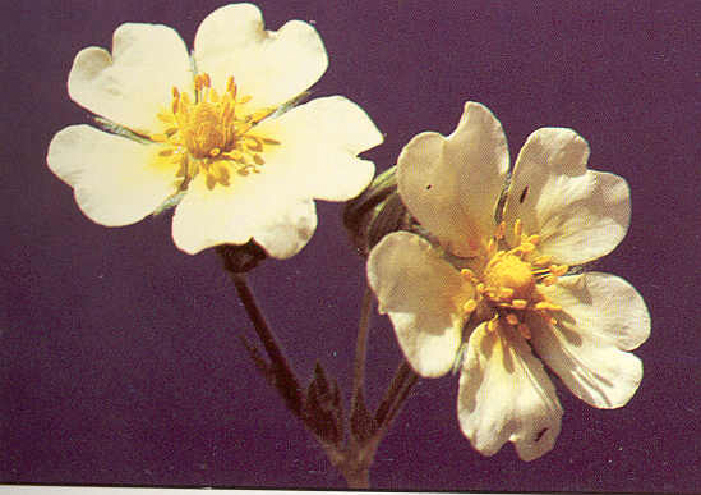 Also, none of the native cinquefoils spread using stolons, and the hairs on sulfur cinquefoil’s stem are more distinct. 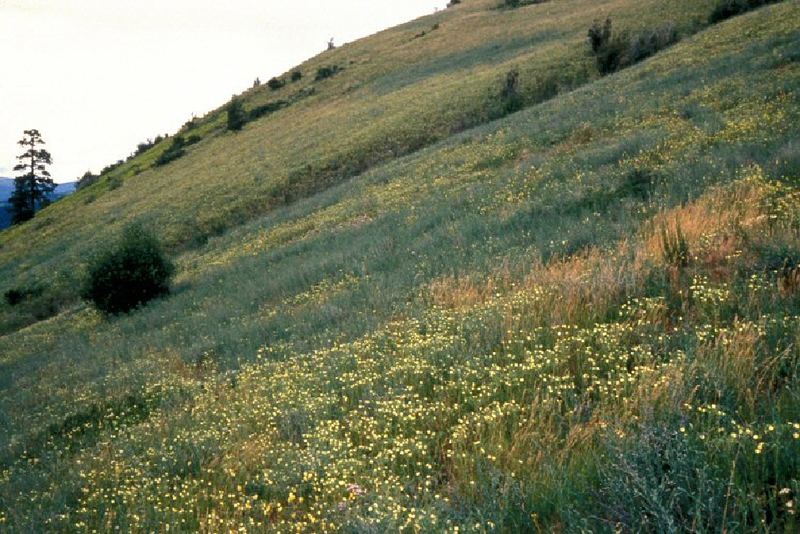 Sulfur cinquefoil has the potential to spread from disturbed and undisturbed soils. It has shown itself to be extremely aggressive in Teton County, often establishing in dense monocultures.